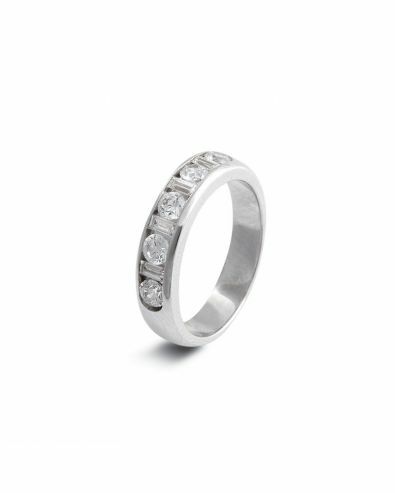 Eternity rings are a much more personal form of expressing love and compassion. With the original concept created in the 1960’s (only 50 years ago), the eternity ring was designed for wives for husbands to give on occasions such as significant anniversaries. 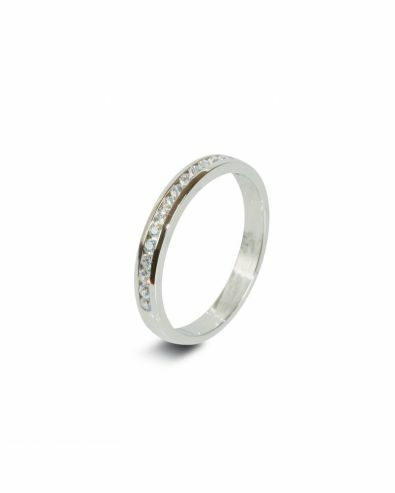 Nowadays many brides expect their eternity ring within one year of marriage, however at Orla James we know it’s never too late. Our 9 carat yellow gold provides a brassy contrast to white gold wedding sets that many people tend to adopt. This helps distinguish between rings, and makes it stand out, delivering its own shine and creating it’s own attention. This also helps the set diamonds glisten a white shine that separates itself from the yellow band, something that you cannot find in a white gold diamond eternity ring. The third set also allows for a much more comfortable fit, as many people find with full and even half set diamond rings that the fit is quite heavy or large. Using less diamonds means your ring will not upstage any existing wedding jewellery, and will also create a much lighter weight, ensuring maximum comfort. 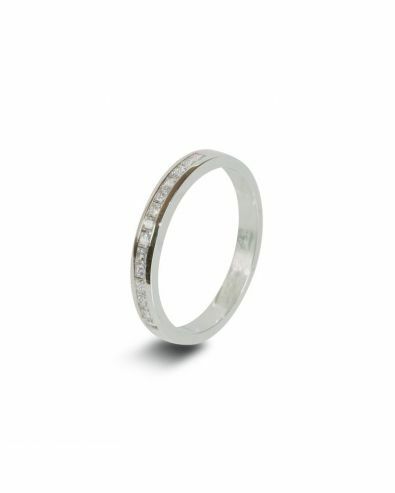 For more information on our yellow gold and third set eternity rings, contact us via our page, through our live chat feature, or call us on 01903 331707.